Social media marketing refers to the process of gaining traffic or attention through social media sites. 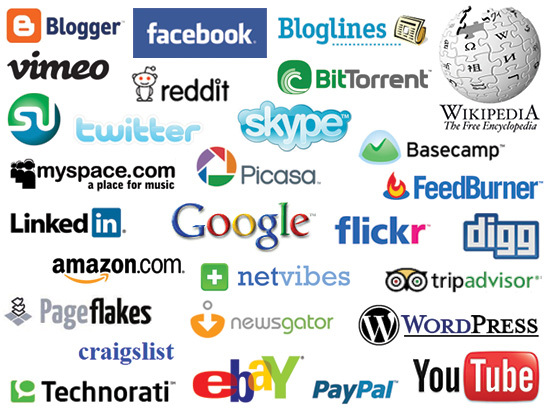 Social media itself is a catch-all term for sites that may provide diverse social actions. For instance, Twitter is a social site designed to let people share short messages or “updates” with others while Facebook is a full-blown social networking site that allows for sharing updates, photos, joining events and a variety of other activities. Social Media gives you a more direct path of contact between you and your market. Having a strong “social network” also allows you to communicate effectively with existing and potential users. In a way it creates a link between person to person interaction and person to technology interaction. 1) General Awareness Your Company -By actively using social media outlets such as: Twitter, Facebook, Youtube, LinkedIn etc you can raise awareness of your company to a worldwide community. Just like placing a television advertisement, advertising in your local newspaper or radio station, or going out and networking at events; Social Media is an easy way to get your company name and mission in front of peoples eyes. 2) Lead Creation & Promotion - Social Networking connects you with a large audience of targeted online users that and can generate leads of all kinds for your business. You can use promotions and competitions to speed up this sort of process, users should be more interested in your product if there is some sort of reward, benefit or enjoyment they receive from your marketing campaign. 3) Maintaining Your Network - Not only does social media connect you with the right people, it is also a tool that allows you to maintain relationships with the network that you have formed. Once you’ve established a connecting or formed a relationship it is then crucial to create follow up impression. 4) Customer Service Social Media is a great tool for providing excellent customer service. Contact Apline today for a quote on how to get your company and website noticed in the social media jungle!